The best way to get more free organic traffic on your site is to submit your blog on popular search engines to get indexed and crawled so that your site can appear in their search results. Thus it is highly recommended for every blogger to add their blogs to search engine manually, after launching your site. Without submitting your blog to search engines, you cannot appear in their search results. I’ve seen many newbie bloggers, posting questions on forums about how they can get free traffic from Google after launching their sites. Every day thousands of new blogs are opening and Google can’t reach all of them one by one. So what they did is, they’ve provided significant tools like webmaster tools to let website or blog owners submit their blogs manually on Google search engine for crawling and indexing, so that you can appear on Google search results. This is how all Webmaster tools work! Now, there are different webmaster tools for different search engines. So, try to use all the webmaster tools and make sure you’re getting traffic from all of them. Analyze how your site appears on search results. Check how your site loads on mobile devices. Manage your site’s structure Block URLs from appearing in search results. Easily troubleshoot all the warnings and errors of your site. Visualize your indexing and crawling pages stats. Easily check for any violations of search engine rules and regulations. Analyze how much traffic you’re getting from search results. These are the benefits you’ll get from Webmaster tools after signing up! Below is the list of best search engines that you should consider using to get more traffic to your site. Google is top among other Search Engines in the World, and there’s no doubt about it. Everybody just loves Google and it is the only Search Engine that receives 70% of the traffic Worldwide. Bing and Yahoo are both separate Search Engines, but their Webmaster tools are one. That means if you submit your blog to Bing Webmaster tools then you will get free traffic from both the Search Engines. They are both owned by Microsoft and they are the second highest Search Engine that receives the highest volume of traffic globally. Yandex is the largest Search Engine in Russia, it is ranked as the 4th largest Search Engine Worldwide with more than 150 million searches per day. Adding your blog to Yandex Webmaster tools will help you gain free visitors once you start appearing in their search results. Baidu is a Chinese Search Engine that has over 2 billion users Globally. It is formed under the name of DU Apps Studio or DU Group, is a mobile application developing company that has a wide variety of popular Award Winning apps and Services Worldwide. So, there is no loss in adding your blog to Baidu. Instead, your blog will be able to appear in their search results to get new audiences. Gigablast is a web search engine founded in early 2000 by Matt Wells in New Mexico. Gigablast claimed to have indexed over 12 billion web pages and received billions of queries per month. They offer a variety of features including topic generation and the ability to index multiple document formats and it is one of a handful of search engines that maintains its own searchable index of over a billion pages. All you need to do is add your blog to their web submission page and you’re done! After doing this Google search engine crawlers will start indexing and crawl your pages and posts right away. Just make sure, everything is correct. 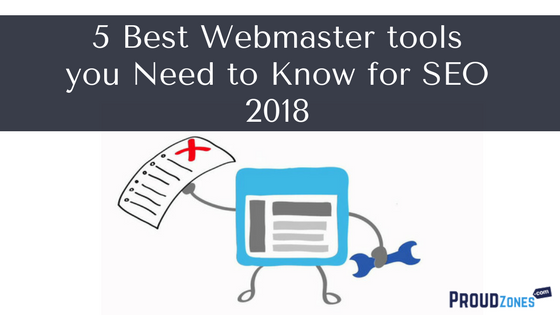 If you’re finding difficulties while submitting your blog to Webmaster tools, then let me know in the comment box below.